Product prices and availability are accurate as of 2019-04-18 05:33:10 UTC and are subject to change. Any price and availability information displayed on http://www.amazon.co.uk/ at the time of purchase will apply to the purchase of this product. 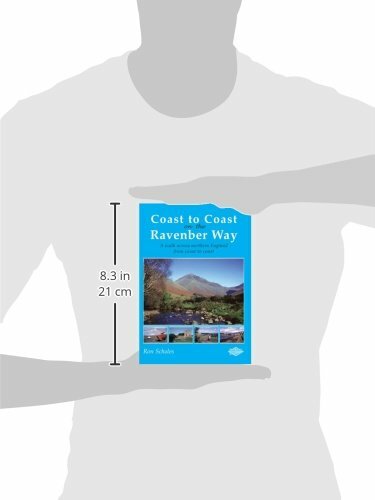 Devised by Ron Scholes, a friend of Wainwright from the 1970s, Coast to Coast on the Ravenber Way is an alternative coast to coast route from Ravenglass to Berwick-upon-Tweed. It takes in more of the Lake District than does the traditional one between St. Bees and Robin Hood's Bay. Betty Wainwright, in her Foreword, says: "What an attractive route it is. When reading the sections familiar to me, I have been reminded of happy days on the fells with A.W., and have been inspired by a desire to walk the parts of the route unknown to me." The book is now in its third edition. The walk is just over 210 miles in total and, as Ron says, it can be divided up into sections. For example, The Cumbrian part of the route from Ravenglass to Dufton in the Eden Valley is a little over sixty miles. 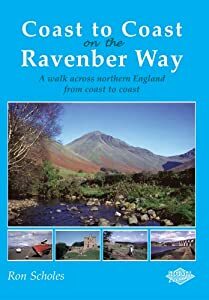 Even if the walk itself is too demanding, as it would not be for me, you'll love doing it vicariously as you read this book, especially if you're familiar with the areas traversed.